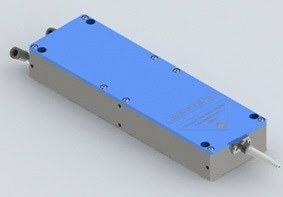 The FACH-450-10W-FC105 high power blue laser diode module has outstanding brightness. Over 10W of power at 450nm coupled into a 105µm fiber. The expected lifetime is over 10,000 hours. Main applications are plastic material processing and accurate micro soldering on PCB, it is also well suitable for 3D printing and other industrial, medical, scientific and laser display applications. When you click "Send Request", we will send the contact details you supply to Frankfurt Laser Company so they may respond to your inquiry directly.